Rusted Off: Why is Country Australia Fed Up? As Australia prepares for a federal election, the contest for rural and regional seats is likely to be one of the most fascinating aspects of the 2019 poll. Already, country independents are pushing incumbent MPs against a backdrop of disappointment and disengagement with politicians and the parliament across the country. Gabrielle Chan will examine why politics is changing in rural areas and how it may impact on the outcome of the next election. 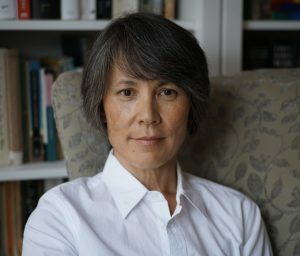 Gabrielle Chan has been a journalist for more than 30 years. She began covering politics in the 1990s for The Australian in NSW parliament and the Canberra press gallery. Since 2013, she has worked for Guardian Australia as a political correspondent and Politics Live blogger. Gabrielle has also worked for ABC radio, the Daily Telegraph, in local newspapers and politics. She has written and edited histories and biographies. The city-born daughter of a Singaporean migrant, Gabrielle moved to a sheep and wheat farm near Harden, Murrumburrah, in 1996. She noticed the economic and cultural divide between city and country and the yawning gap between parliament and small town life. As a result, she wrote Rusted Off: Why Country Australia is Fed Up, released in 2018 by Penguin Random House.